In the United States, thoughts are turning to the start of the primary season, when votes are cast to choose each party’s presidential nominee. It’s a complicated and sometimes very long process, beginning in Iowa and winding all the way to the conventions in the summer, and every time it gets going, there are certain buzzwords that seem to find their way into the American popular consciousness. 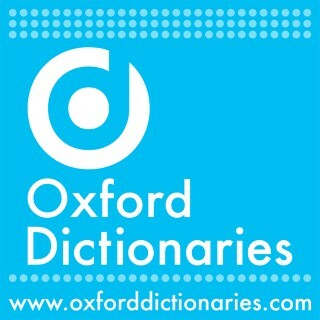 OxfordDictionaries.com is adding the nouns apology tour and nonapology. These additions represent two related steps in the evolution of the noun apology, which first entered English in the sixteenth century, according to the Oxford English Dictionary (OED). Its earliest example is a book title: the 1533 Apologie of Syr Thomas More. Since publishing Sorry About That a year ago, I’ve been trying to keep track of apologies in the news. Google sends me a handful of news items every day. Some are curious (“J.K. Rowling issues apology over slain ‘Harry Potter’ character”), some are cute (“Blizzard 2015: Meteorologist apologizes for ‘big forecast miss’”), and some are sad (“An open apology to my kids on the subject of my divorce”). There are various more or less familiar acts by which to communicate something with the reasonable expectation of being believed. We can do so by stating, reporting, contending, or claiming that such-and-such is the case; by telling others things, informing an audience of this-or-that, or vouching for something; by affirming or attesting to something’s being the case, or avowing that this-or-that is true. What do these acts have in common? Each is an instance of the kind of speech act known as an assertion. Lincoln’s last speech, delivered on 11 April 1865, seldom receives the attention it deserves. The prose is not poetic, but then it was not meant to inspire but to persuade. He had written the bulk of the speech weeks earlier in an attempt to convince Congress to readmit Louisiana to the Union. Leaving behind a legacy that transcends generations today, Abraham Lincoln was a veteran when it came to giving speeches. Delivering one of the most quoted speeches in history, Lincoln addressed the nation on a number of other occasions, captivating his audience and paving the way for generations to come. Here is an in-depth look at Lincoln’s eleven greatest speeches, in chronological order. Yesterday, we invited Eric Jarosinski, aka Nein Quarterly, to guest tweet on the Oxford Academic Twitter account. Instead of our usual academic news and insights, followers were treated to #OxfordMisfortuneCookies and other wisdom. As a former professor, Eric is all too familiar with the many absurdities of academia, which he addresses with his trademark voice of “utopian negation”. Here’s a brief compilation of his tweets. Five Biblical remixes from Rev. Dr. Martin Luther King, Jr.
Civil Rights icon Reverend Dr. Martin Luther King, Jr. was also a theologian and pastor, who used biblical texts and imagery extensively in his speeches and sermons. Here is a selection of five biblical quotations and allusions that you may not have noticed in his work (in chronological order). Each January, Americans commemorate the birthday of Martin Luther King Jr., reflecting on the enduring legacy of the legendary civil rights activist. From his iconic speech at the Civil Rights March of 1963, to his final oration in Memphis, Tennessee, King is remembered not only as a masterful rhetorician, but a luminary for his generation and many generations to come. These quotes, compiled from the Oxford Dictionary of Quotations, demonstrate the reverberating impact of this work, particularly in a time of great social, political, and economic upheaval. Winter encourages a certain kind of idiosyncratic imagery not found during any other season: white, powdery snow, puffs of warm breath, be-scarfed holiday crowds. The following slideshow presents a lovely compilation of quotes from the eighth edition of our Oxford Dictionary of Quotations that will inspire a newfound love for winter, whether you’ve ever experienced snow or not! Coverage of the centenary of the outbreak of World War One has made us freshly familiar with many memorable sayings, from Edward Grey’s ‘The lamps are going out all over Europe’, to Wilfred Owen’s ‘My subject is War, and the pity of war/ The Poetry is in the pity’, and Lena Guilbert Horne’s exhortation to ‘Keep the Home-fires burning’. Plato famously said that there is an ancient quarrel between philosophy and poetry. But with respect to one aspect of poetry, namely metaphor, many contemporary philosophers have made peace with the poets. In their view, we need metaphor. Without it, many truths would be inexpressible and unknowable. Ever since 4 July 1777 when citizens of Philadelphia celebrated the first anniversary of American independence with a fireworks display, the “rockets’ red glare” has lent a military tinge to this national holiday. But the explosive aspect of the patriots’ resistance was the incendiary propaganda that they spread across the thirteen colonies. As the Amazon-Hachette debate has escalated this week, taking a notably funny turn on the Colbert Report, we’d like to share some funnier reflections on books and the purposes they serve. Here are some selections from the Oxford Dictionary of Humorous Quotations, Fifth Edition. In recent weeks, a trade dispute between Amazon and Hachette has been making headlines across the world. But discussion at our book-laden coffee tables and computer screens has not been limited to contract terms and inventory, but what books mean to us as publishers, booksellers, authors, and readers. Monday, 19 May is Victoria Day in Canada, which celebrates the 195th birthday of Queen Victoria on 24 May 1819. On 20 June 1837, at the age of 18, Queen Victoria took the throne as Monarch of the United Kingdom of Great Britain and Ireland, as the Empire was called at that point. "This is rich biographical material that gets only richer as Mr. Moser, a translator and a book critic for Harper’s Magazine, begins to unpeel the layers of [Lispector's] complicated life."